Closed: New Year’s Day, Good Friday, Labor Day, Midsummer Eve, Midsummer Day, Midsummer Sunday, Independence Day 6.12. and Christmas 23.–26.12. 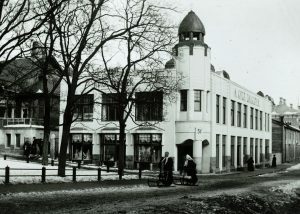 Skogster Museum is the main location of Hämeenlinna City Museum. The downstairs holds a museum shop and reference library, as well as the Ooh, Hämeenlinna! exhibition, which features funny stories and extraordinary truths about Hämeenlinna. The upper floor features yearly changing special exhibitions and the Savings Bank Museum exhibition. The major exhibition of 2019 is Tales of the Spiritual World which contemplates supernatural phenomena. The exhibition is open until 19th of January 2020. 2.5.–31.8. Mon–Sun 10 a.m.–4 p.m.
1.9.–30.4. Tue–Sun 12 p.m.–4 p.m. Composer Jean Sibelius (1865-1957) was born and lived the first 20 years of his life in Hämeenlinna. 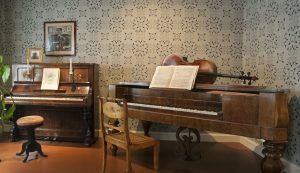 The rooms of his birthplace are decorated in the style of the era between the 1860s and the 1880s, and the museum exhibition sheds light on little Janne’s childhood years in Hämeenlinna. A guided tour will provide you with more information. Chamber concerts are regularly held at the hall of the Birthplace. 2.5.–31.8. Tue–Sun 12 p.m.–4 p.m.
1.9.–30.4. Sat–Sun 12 p.m.–4 p.m.
13.4.–22.4.2019 Mon–Sun 12 p.m.–4 p.m.
Closed: New Year’s Day, Labor Day, Midsummer Eve, Midsummer Day, Midsummer Sunday, Independence Day 6.12. and Christmas 23.–25.12. Admission fee includes a guided tour. 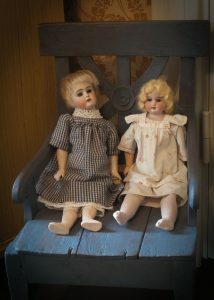 Palander House presents the lifestyle of a bourgeois Hämeenlinna family 100 years ago. The museum showcases a variety of room ensembles, ranging from the elegant drawing room to the servants’ kitchen. The museum is located in the north-east corner of the city centre in an area with lots of period houses. Admission fee includes a guided tour. These are held every 30 minutes.